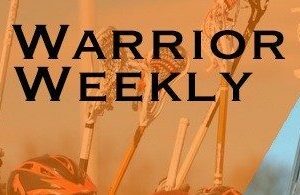 Warrior Weekly is a weekly blog discussing both Wayland and national sports. This year, sports broadcast editor Charlie Moore and staff reporters CJ Brown and Aiden Chitkara will alternate as writers. Read Aiden’s first post as he discusses recent news in football. This week, there has been more than enough news to keep football fans talking. From firings to retirements, there are plenty of current events to jump into, not to mention a video that surfaced this week of a young NFL star that has put his football career in jeopardy. It would be an understatement to say there is a lot to talk about. Let’s start off by discussing the recent news of my favorite NFL team: the Green Bay Packers. After 13 seasons of serving as the Packers head coach, the franchise announced Sunday that it would be parting ways with Mike McCarthy. McCarthy led Green Bay to nine playoff berths in 13 years, including a Super Bowl title in 2010. McCarthy’s winning days came to a halt as the Packers missed the playoffs last season and fell to a 4-7-1 record this year. The franchise has the pieces to bring home another championship to Titletown, starting with one of the league’s top players, quarterback Aaron Rodgers. McCarthy has been unable to properly use one of the greatest quarterbacks to ever play the game, and the lack of recent success has been enough for the Packers to make the change. McCarthy shouldn’t find it too difficult to find a job this offseason, as he will undoubtedly receive high interest from the rest of the league. On Tuesday, Dec. 4, longtime Ohio State football coach Urban Meyer announced that he will be retiring following the Rose Bowl. Meyer cited his health as a reason for the decision. This is the second time Meyer has decided to leave the football field due to stress. My gut feeling says that this won’t be the last time Urban Meyer coaches. Meyer is only 54 years old and extremely passionate about the game. It’s important to note that Meyer was suspended for the first three games of the 2018 season for mishandling domestic abuse allegations against his former assistant coach. You can infer that there is a correlation in the timing of the allegations and Meyer’s retirement. Ohio State won over 90 percent of their games under Meyer, and it’s hard to believe a guy with his level of intensity won’t return to the game. Only time will tell if the Ohio State legend will keep his word. One bad mistake can change your career, and that holds true for former Kansas City Chiefs star running back Kareem Hunt. On Friday, Nov. 30, TMZ released a video of Hunt assaulting a woman in a hotel from this past February. Hunt can be seen shoving and kicking a woman. Hours later, NFL Commissioner Roger Goodell placed Hunt on the Commissioner Exempt List, meaning that Hunt would remain away from all team activities while the NFL looks into legal action. That same day, the Chiefs made the decision to release their second-year stud in light of the recent news. Hunt’s actions are extremely unfortunate, proving how costly one bad decision can affect a career. Since Hunt was released by the Chiefs, all 31 other NFL teams have had the opportunity to claim Hunt for their own. Hunt went unclaimed on the waivers and is currently an unrestricted free agent. Hunt will likely remain unemployed until the NFL announces its verdict.